Don’t miss out on all the discounts, games, and freebies for nurses! Nurses Week is May 6th – 12th! 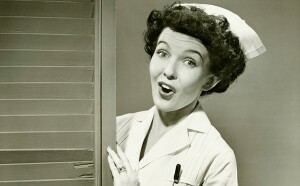 Medical Solutions is throwing a party for all nurses at WeLoveOurNurses.com. You can join in the festivities by checking out C. Young’s “So Much Love in the Scrubs” music video tribute, take the “What Kind of Party Are You?” quiz for a chance to win fun prizes, and share free Nurses Week eCards with your fellow nurses. Medical Solutions is also giving away some amazing party favors, like 30 $50 Amazon gift cards, Five Amazon Tap Bluetooth Speakers, three Apple iPad Mini 2s, and more! Nursing students are also encouraged to enter the 6th Annual Nurses of Tomorrow Scholarship Contest, which awards three $2,000 scholarships to future nurses. This year, rejuvenate your passion for nursing with The American Nurses Association’s free webinar on wellness and burnout prevention. The online class is on May 10th. Fusion Medical is celebrating Nurses Week with daily giveaways on its Facebook page, and a #scrubselfie contest on Instagram and Twiiter. Contest participants have the chance to win a $500 Visa gift card. Cinnabon is showing their appreciation for nurses with a delicious and well-deserved free treat. During Nurses Week, simply present your medical ID badge at a participating Cinnabon, and you’ll receive your choice of a free Classic Roll, a MiniBon or a four-count of BonBites. Lippincott’s will once again offer a variety of daily deals, giveaways, and discounts during Nurses Week as well.